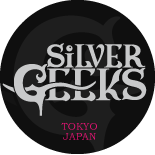 We are silver jewelry brand for men's casual styles in Japan. There are many fashion styles and interests and hobbies in this world. We are the one style of them. We thought that our concept is close to the subculture of toy figures, movies, comics, some rock music styles, and gothic culture. We want to create dark fantasy world that there are imaginary creatures and monsters. 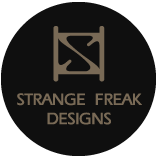 Motifs of our creations/products are human skull , animal's skulls , all of lives in the real-world, some creature in the imagination-world and some monster that does not exist , or from fairy tale and old story. Please enjoy strange time and our universe. Copyright by © Strange freak designs. All rights reserved.